“T-Rex” the Music of Marc and Mickey, reformed back in1997 by Mickey Finn, Paul Fenton and Jack Green ,three former members of Marc Bolans T-Rex. 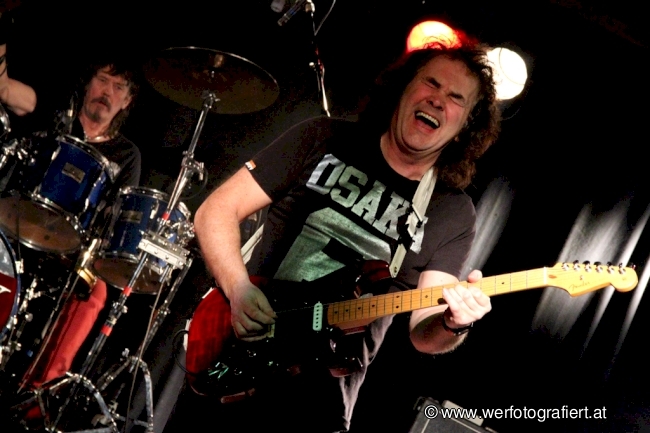 Today in 2011,after recently completing a European tour , Paul Fenton is back ,together with Graham Oliver the amazing guitarist from ‘SAXON’. Jay Spargo, Tony Allday, Dave Major, Linda Dawson and Terri Sullivan complete the line up. Bringing you the timeless classics such as ‘Ride a White Swan, Get It On, Hot Love, Children of the Revolution and Twentieth Century Boy to name but a few in this ‘Rocking’ show! Not to be missed!!!! selling tickets for ” t .rex ” is totally wrong . this band is NOT t .rex ..